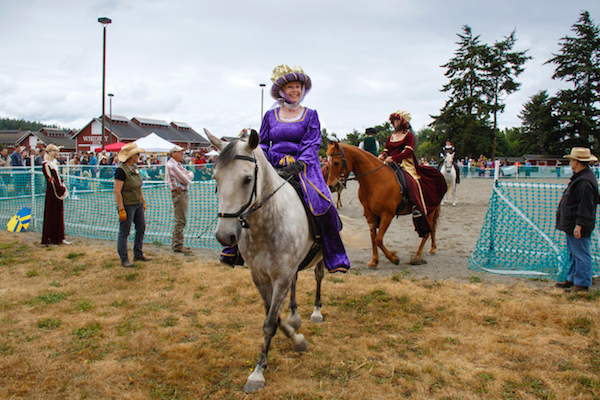 On Saturday July 25, a large crowd attended the first “Renaissance at the Farm” event held at the historic Greenbank Farm. 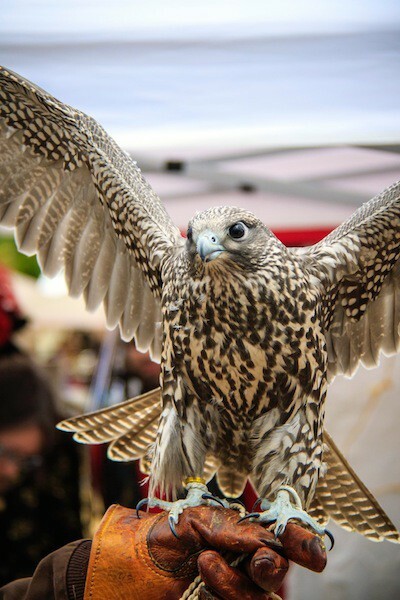 There were theatrics, music, dance, equestrian events, costumes, spinning and weaving, dog events, falconry, and much more. 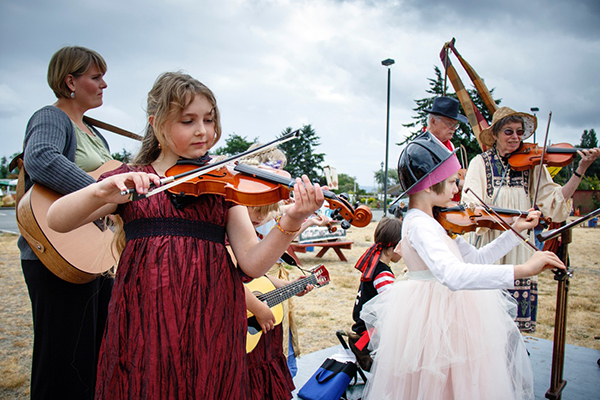 WLM photographer David Welton captured the day through his lens. 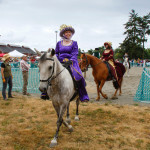 The event was organized by the Renaissance at the Farm Committee led by Jerry and Connie Lloyd and they were joined by the international Society for Creative Anachronism, a nonprofit educational organization dedicated to the preservation, research and recreation of the crafts, arts and experiences of the European Renaissance and Middle Ages. 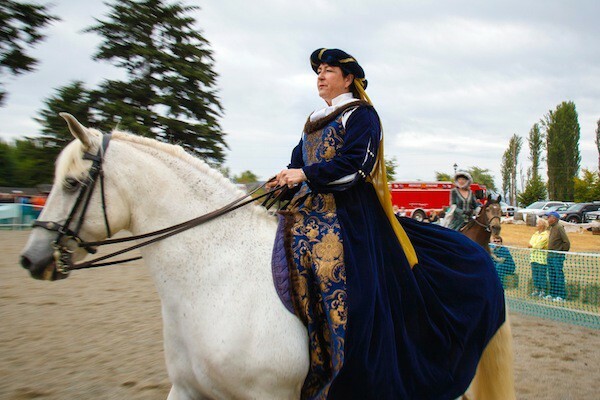 With numerous events and volunteers the event showed us the “then and now” of the Renaissance. 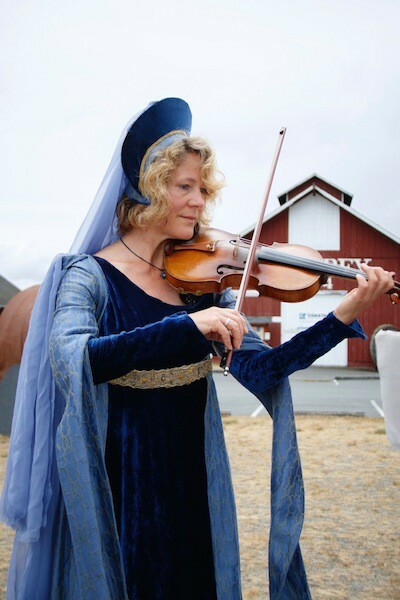 Kimmer Morris performs in front of the historic Greenbank Barn. Renaissance attire was prevalent with some notable modern accessories like this fireman’s hat that Olive Sichel wore. 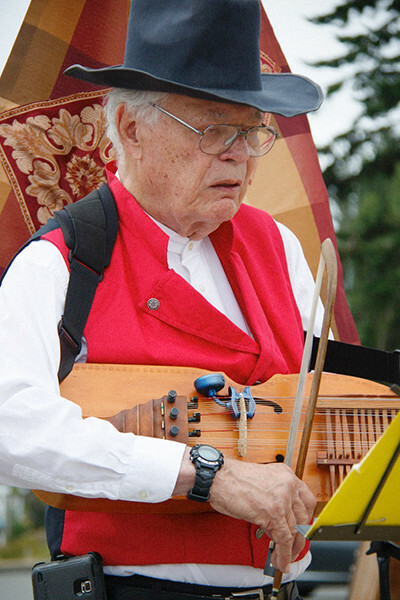 Dan Anderson plays the nyckelharpa with Island Strings. 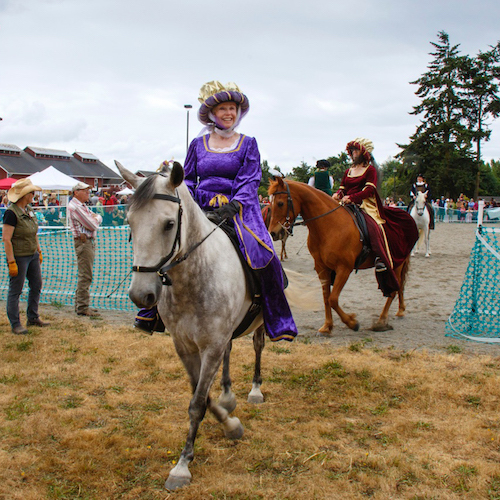 Attendees watched horses and riders in Renaissance costumes move through their paces in the Renaissance arena. 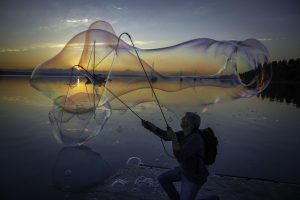 Julie Bloomhall is pictured above and Carol McArdle is in the photo below. 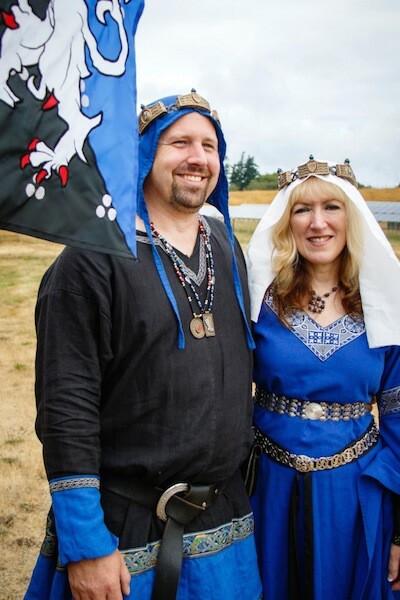 Bryson and Alisoun McCloughen (aka Duchess Angharad, Baroness of Aquaterra), of the Society of Creative Anachronism, turned out in blue. 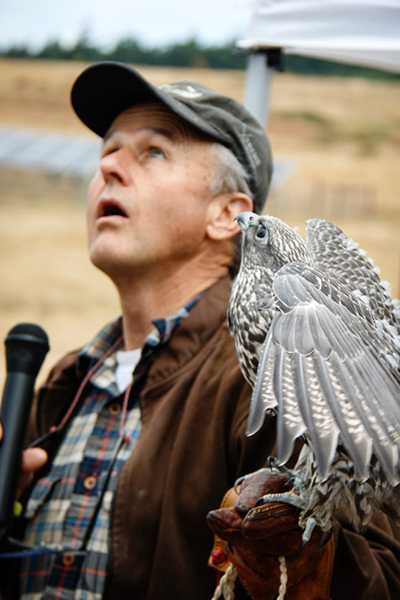 Steve Layman and his falcon track activity in the sky during Steve’s presentation and demonstration of about the art of falconry. 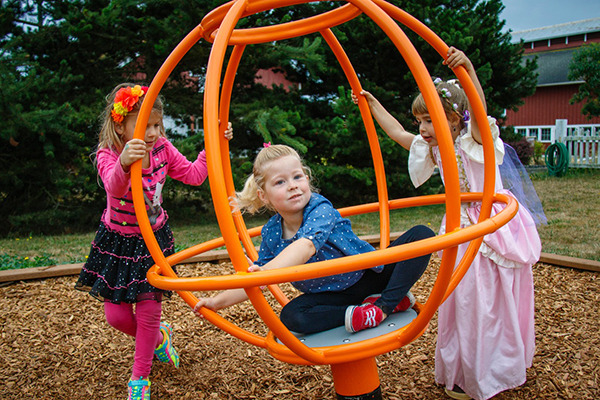 Kids take some time to play at the more modern playground at the Farm. 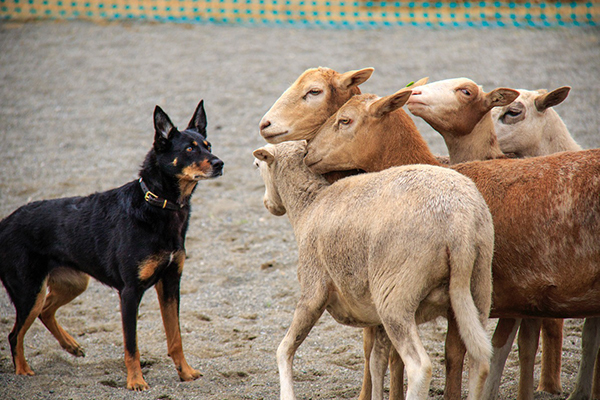 The Australian kelpie shows how to stare down a herd of sheep in this herding demonstration. 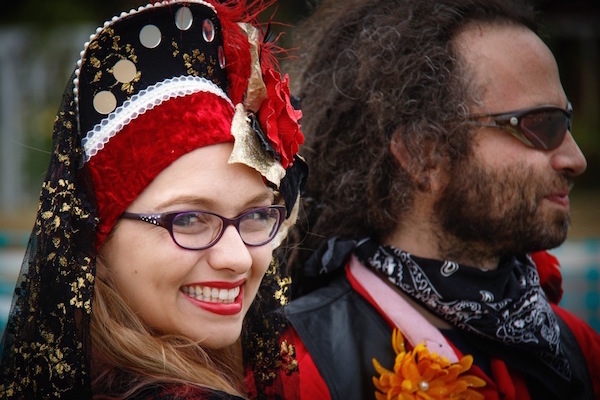 Madisun Clark-Stern and her husband David enjoy the day on the Farm. 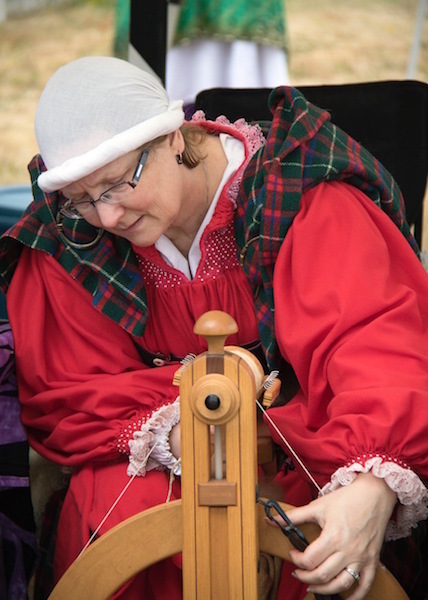 Society for Creative Anachronism member Her Ladyship Kateryn Garnett, (aka Kay Rairigh) demonstrates how to spin at the spinning and weaving demonstration area. 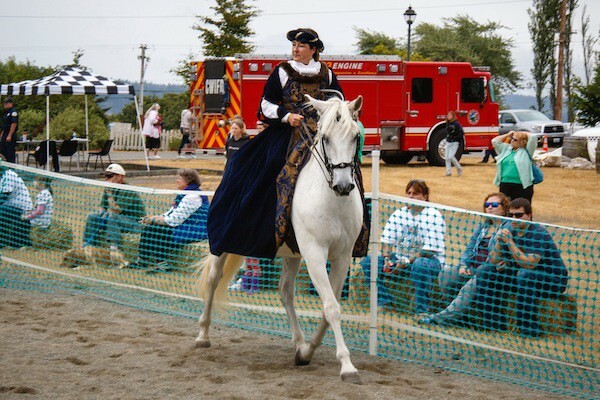 Carol McArdle and her horse show some Renaissance style, a perfect juxtaposition of “then” in the foreground and “now”—a very modern fire truck in the background. 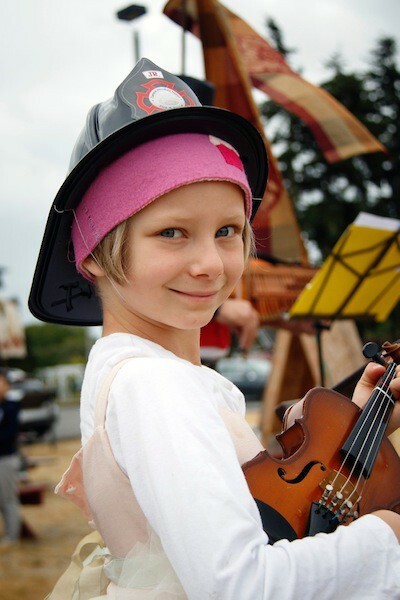 Click here to read Katy Shaner’s story about the event.